Because of the highly specialized nature of this book we generally try to, but do not always have a copy in stock. 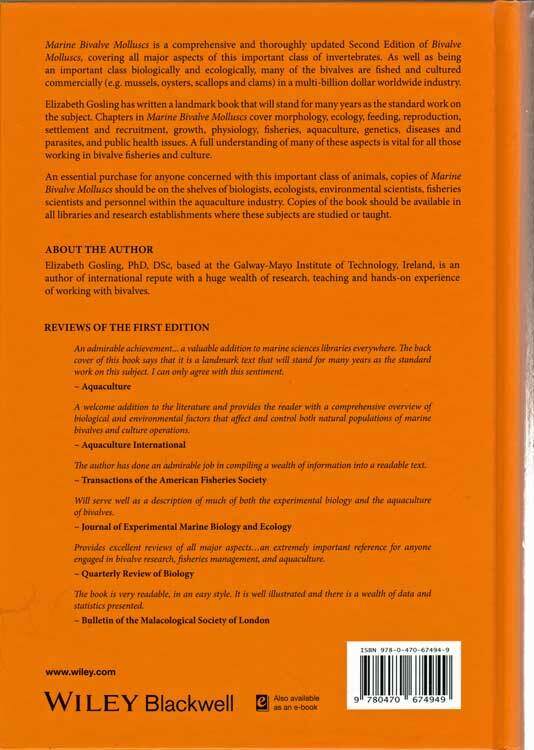 We will treat your order as a special order and try to obtain a copy of this book for you if you'd like us to do so. 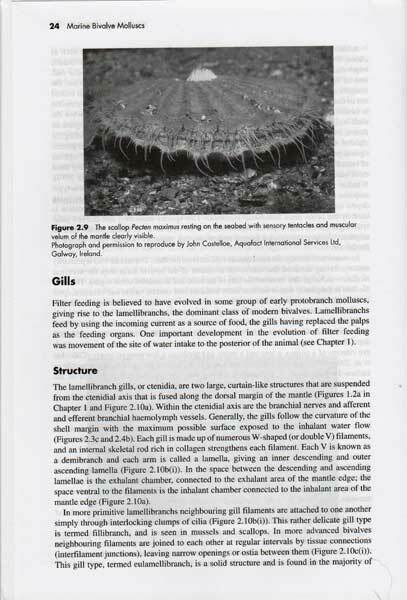 That being said this is a wonderful biological look at the Bivalve molluscs. It covers just about every aspect of their live and their environment that you can think of. 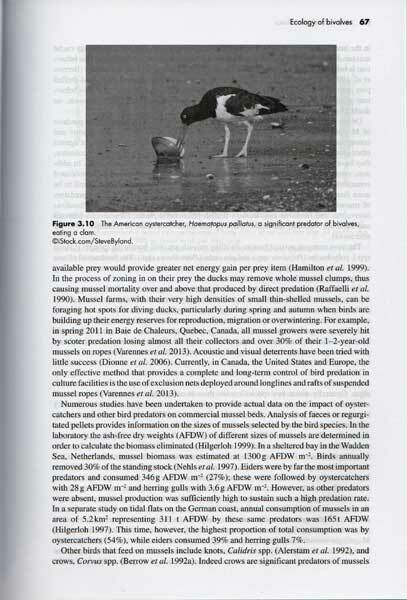 additionally it is a source book for the aquaculture and for the management of wild populations of these molluscs that make up an important food source for humans. 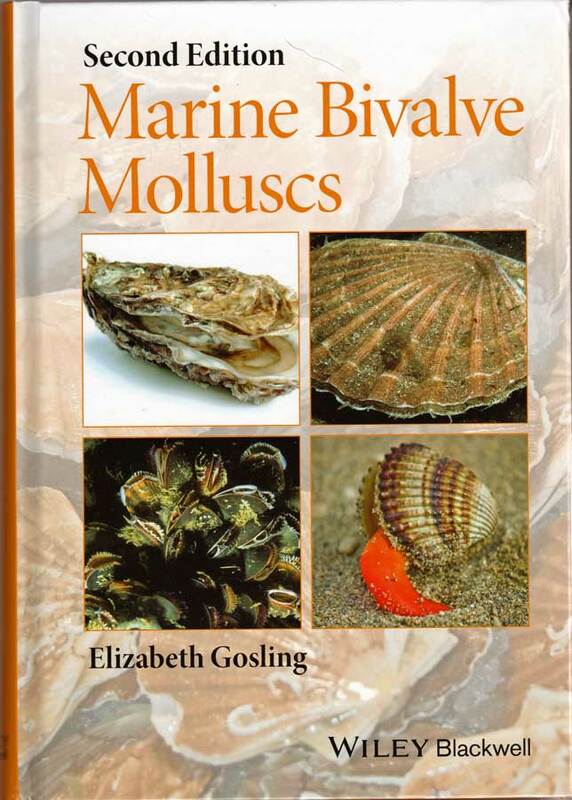 The author, Elizabeth Gosling is based in Ireland, at the Galway-Mayo Institute of Technology with an international reputation for her study, teaching and work with the Bivalves. The first edition of this book considered to be the "Bible" for this field of study and this edition surpasses the first in many more inclusion of information. Despite that this book sounds as if it makes for dull reading it is on the contrary well written and extremely readable even by laymen such as me.